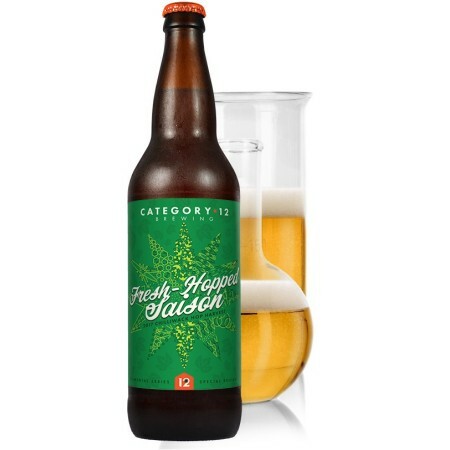 VICTORIA, BC – Category 12 Brewing has announced the release of its first ever fresh hop beer. Fresh Ultra and Cashmere hops were picked at dawn by the good folks at Chilliwack Hop Farm, then were lovingly transported on a morning ferry to be personally delivered for boil kettle addition by midday. We feel that the most exciting characteristic of fresh hop brews is the juicy, luscious aroma and flavour that can only be created once – during the harvest, that is. This flavourful and zesty saison is delicately balanced by fresh Cashmere and Ultra hop additions that capture the zenith of flavour and aroma of these varieties. Category 12 Fresh-Hopped Saison is available now at the brewery, and soon at select private liquor stores.